Dima Soloviev mentally prepares himself. Should we follow his example? 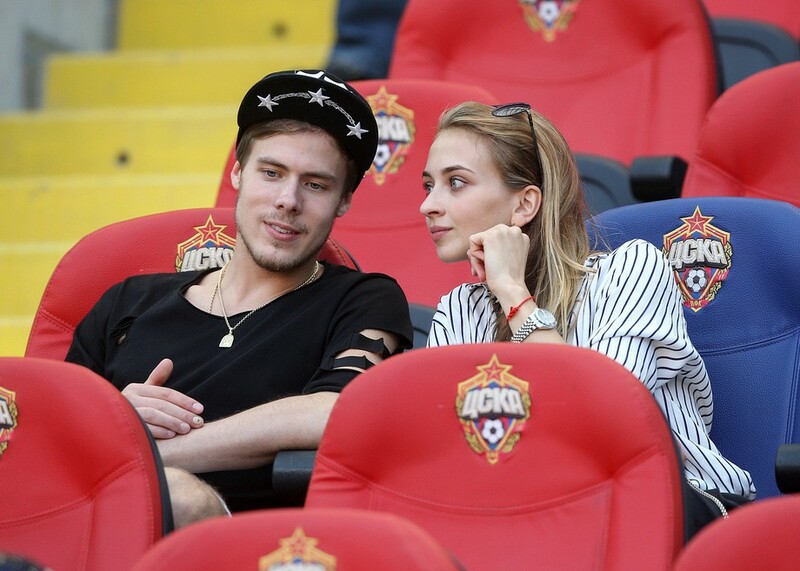 Victoria and Nikita went to a football match. Nikita also did a first kick. I saw Sinitsina and Katsalapov once, but without lifts. But they look very good, indeed as always. I want to wish them to look the same during the whole program. Nikita is an Olympic champion and world champion in skating programs partly. This is known about him. And if he learns from Alexander Zhulin how to skate the program till the end, then I will be only happy about that. There’s also some inside info that Nikita and Victoria currently don’t do lifts (that’s why Tarasova didn’t see them), because Nikita cut his hand at trainings. Maria Stavitskaya accidentally hurt him with her blades. Tarasova’s favorites Stepanova / Bukin and their team announce that today they’re starting the season. Don’t know exactly where, probably in show. For them she found some big words) Yeah fight for Olympics has already started. I was at their practice, I really liked their free dance, but the short stunned me. Their skill has grown. This is a concistent, young and very capable pair who are able to do a very large amount of work at trainings. This gives me the right to say that they will represent the country at the European, World Championships and Olympics properly. Junior dancers finished test skates in Novogorsk. Thanks to photographer Mikhail Sharov we can take a glance at free dances. and potential leaders of Russian junior team – Anastasia Shpilevaya and Grigory Smirnov. But this two photos scare me) Guess I can say goodbye to the hopes for lovely dance and say hello to another acrobatic etude by team Zhuk. Ruslan Zhiganshin and his girlfriend ballerina Ksenia Zhiganshina in Germany. Ruslan seems to be more happy than Elena. Wish them luck! You mean Ruslan isn’t sitting at home, unemployed, watching Frida for the 1000th time? To think, Elena’s die hards spent the whole spring and early summer painting Ruslan as a loafer and all this time he’s been networking and securing opportunities for himself. Most figure skating fans recognize Elena as the most naturally gifted female ice dancer competing today but also are pretty objective about her skating. There’s a group of fans though that believe the entire world is out to get Elena and nothing is ever her fault. Last season was Igor’s fault. The one before that was Kustarova’s. Elena’s weight gain was part of Tarasova’s mind games. And of course it’s all Ruslan’s fault he quit. I heard he actually found a job. Not in a famous coaching group, but still. He’s only at the beginning of his coaching/choreographing career. Good luck to him! Russian skating actually has an official start and end date for the season. If you’ve noticed over the years, skaters typically celebrate early May as the end of the season, even if they haven’t competed in over a month. You are right! I was thinking about her partner who skates with Annabelle Morozov now and changed a coach) I’ll correct this.